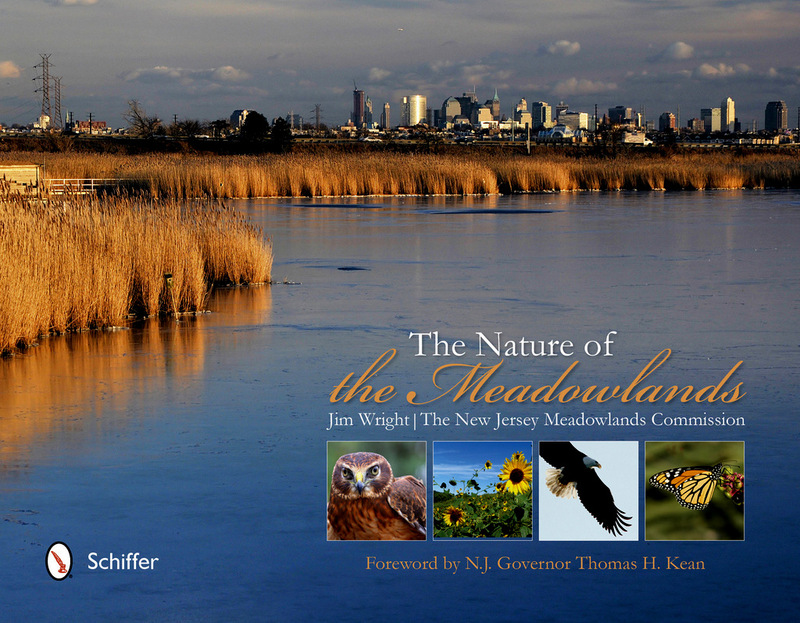 Jim Wright, who maintains this blog, is speaking about his new book for the NJMC, "The Nature of the Meadowlands," at Wild Birds Unlimited in Paramus tomorrow (Saturday) from 11 a.m. to noon. 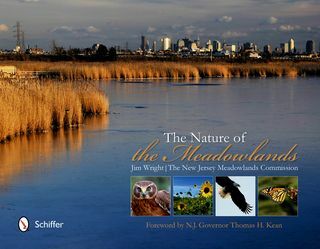 Jim and Governor Tom Kean, who wrote the book's foreword, will be signing copies at Bookends in Ridgewood from 1 to 2 p.m. tomorrow (Saturday). 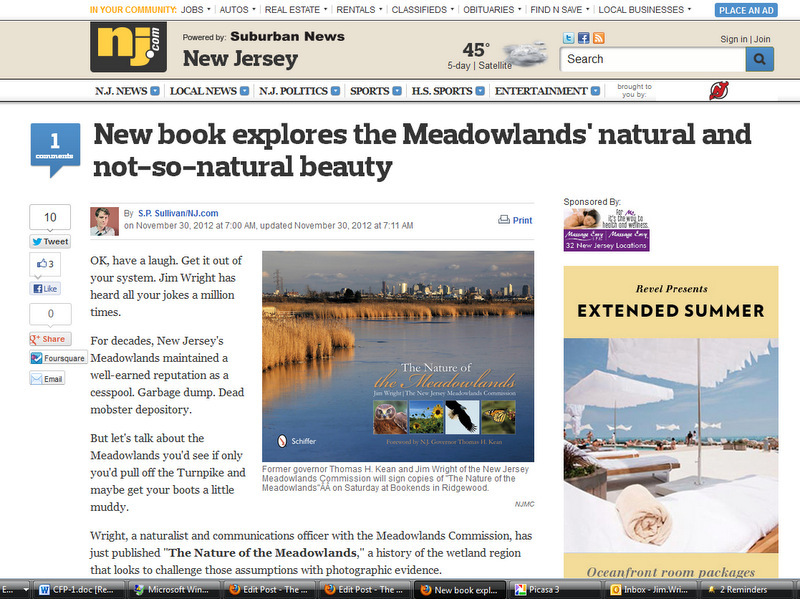 Sean Sullivan wrote an in-depth story about the book, posted on the nj.com website today. The link is here. Karen Zautyk has a lengthy article on storm damage to DeKorte Park, plus cleanup efforts at Harrier Meadow, in The Observer today. 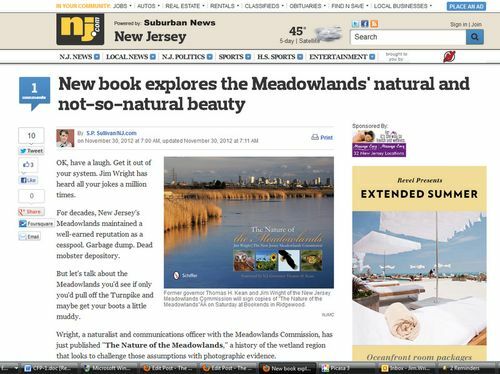 Rose Duger of The Jersey Journal has a story in yesterday's editions about the impacts of Hurricane Sandy on the Kearny Marsh. 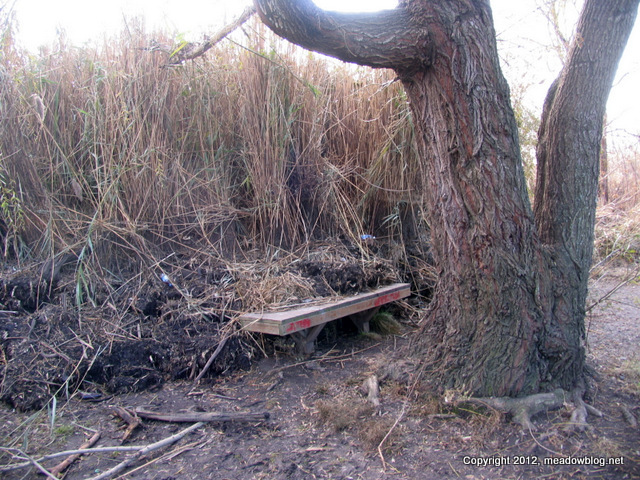 (Above is a photo of the bench at the entrance to the marsh at Gunnell Oval — that entrance is now totally blocked by uprooted Phragmites. 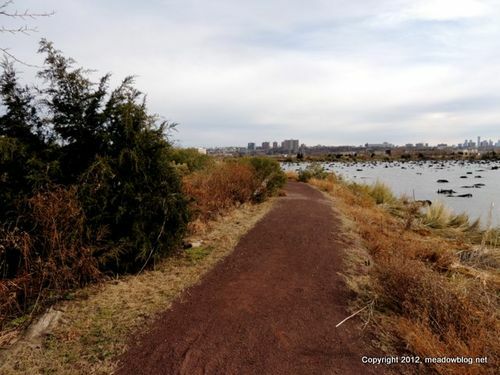 Will post links to articles on Harrier Meadow cleanup and Kearny Marsh later today. 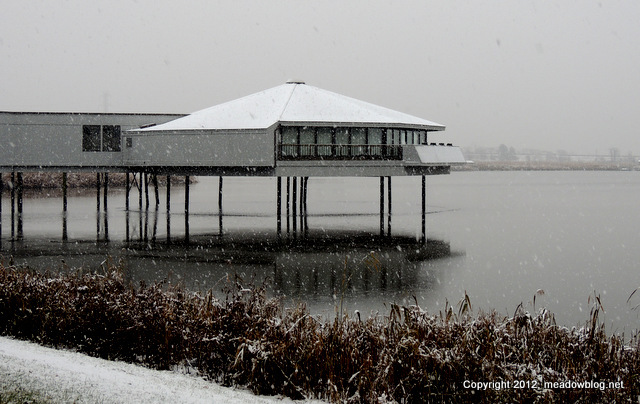 Two more pix in the sequence follow. 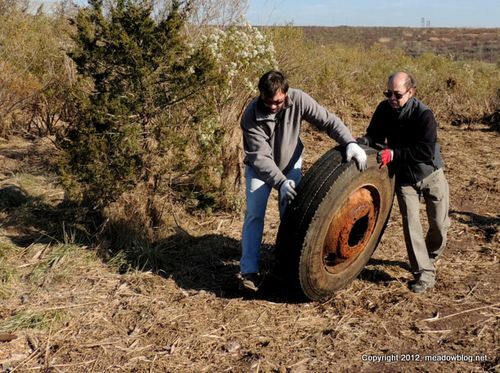 To help address storm-related damage to DeKorte Park, we have adjusted our plans for the first-Sunday walk on Disposal Road this Sunday — and added a cleanup of parts of DeKorte Park. 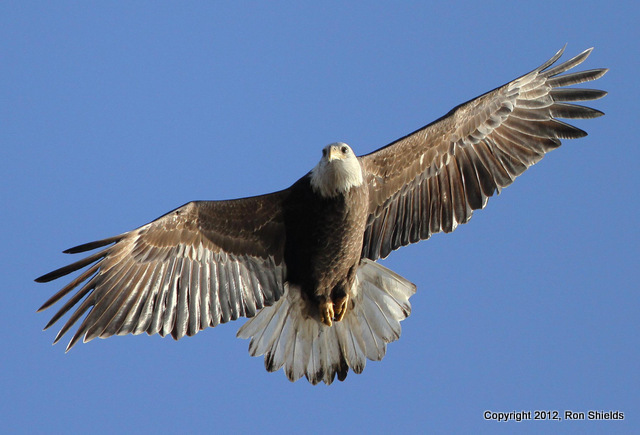 The Raptor Walk along Disposal Road now begins at 9 a.m. on Sunday at the AmVets Carillon (halfway down Disposal Road). Both the walk and cleanup are sponsored by the N.J. Meadowlands Commission and the Bergen County Audubon Society. We apprciate your help. We hope to announce more cleanup dates next week. Full listings and information on both Sunday events follow. Apologies for the lateness of this. Spent much of last Friday afternoon on Disposal Road. 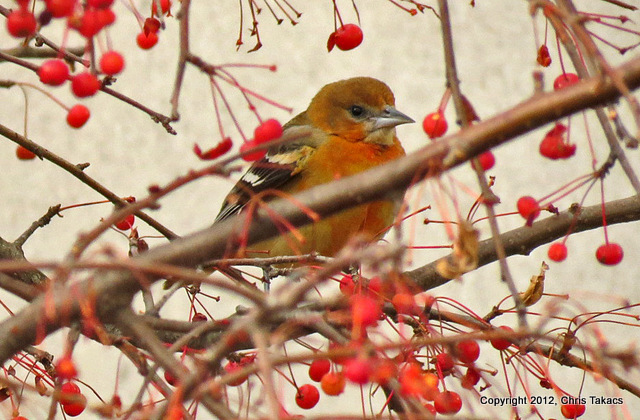 The usual cast of characters (both human and avian) was present, especially later in the afternoon. We watched at least 2 Northern Harriers patrolling the landfill (they never got along with each other). A few fiesty American Kestrels were present, as was an adult Cooper's Hawk. 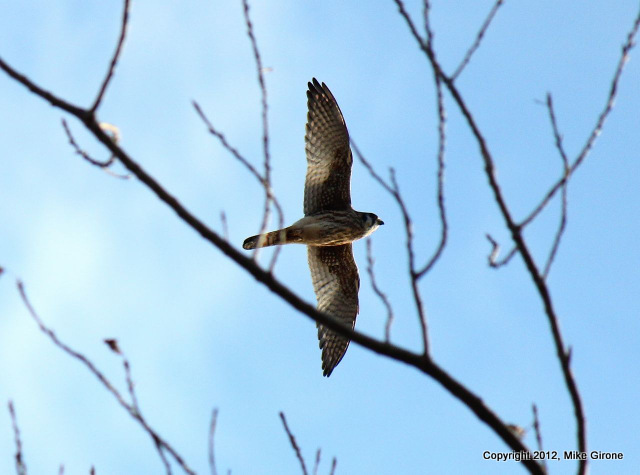 Also seen was a juvenile Red-tailed Hawk (a Northern Harrier escorted it along), and a juvenile Peregrine Falcon that landed in one of the Kestrels' trees atop the landfill, much to the annoyance of one kestrel in particular. 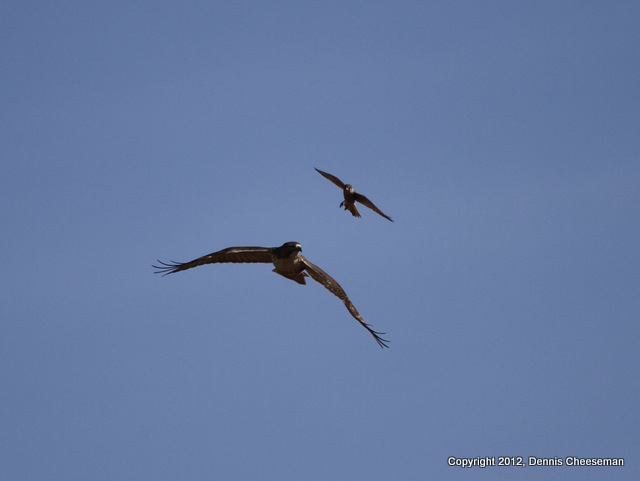 It chased the larger falcon off, and escorted it over the retention pond (the Peregrine ended up atop a nearby high-tension tower). Beautiful weather that day was capped off by a beautiful sunset.